Zaba: A Surreal Concept Album – arts, ink. 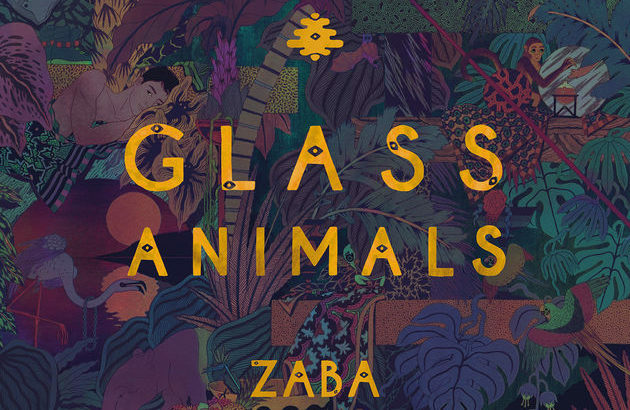 Zaba is the debut studio album of the band Glass Animals, and was released in 2014. It is also an incredible work of art and a testament to the power of concept albums to create an entire universe inside a single musical space. This album is especially unique in how it pushes the envelope: from the samples used to create the rhythms and flows to the abstract lyricism. The “concept” of this album is fairly loose, and that’s part of what makes it so surreal. It focuses on creating a jungle setting by using rich bass backgrounds and a variety of plucky leads, along with animal samples, such as bird calls, throughout. It accomplishes this effect so well in every single song that it’s almost uncanny: listening to it you almost feel like you’ve entered a parallel dimension, where colors swirl and drums pound from all around you. The drums and pounding rhythms contribute a large part to this feeling, especially on songs such as Wyrd, JDNT, and Psylla. You can’t help but sway to the music; it has an almost hypnotic effect. However, as you’re caught up in the incredible atmosphere of the album, you’ll miss the other unforgettable aspect of it: the surreal lyrics. Now the lyrics are probably my favorite part, and really sets them apart from other strange bands. Once you start listening, you’ll realize that most of it is well-formatted gibberish. A few sentences of coherent thought, maybe a single linking thread between them, about something vague and shapeless. The magic of this album is getting lost in its universe, and the lyrics are essential to that: they disconnect you from reality; they lull you into different state of mind. Surrealist art often focuses on the subconscious, exploring the dormant world beyond our conscious minds. Often these works use juxtaposition to startle the viewer and contradict their reality, evoking a feeling of uncertainty and creating an atmosphere that simply can’t be described. In much the same way, I think Zaba embraces the surrealist mindset and brings it to the world of music in a startling fashion. The lyrics transcend traditional music and challenge the listener’s reality; the production is hypnotic and unearthly; the singing is soft and seductive; and the jungle atmosphere is so convincing and strange that you’ll get lost and never be able to find your way out. All in all, it’s an incredibly memorable album that has endless replay value, and I highly recommend giving it a listen. It stands alone as a truly atmospheric concept album, and I think it’s a great example of how powerful concept albums are as works of art.